America's official "birthday" tends to bring out the fireworks and the good folks over at the Swoosh are joining in the party. 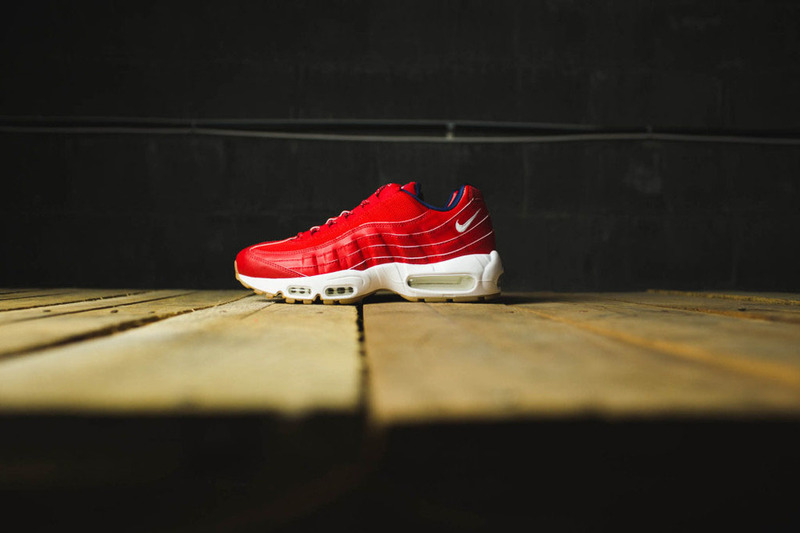 This Nike Air Max 95 PRM "Independence Day" is an eye catching nod to the July 4th holiday that has details upon sweet details. 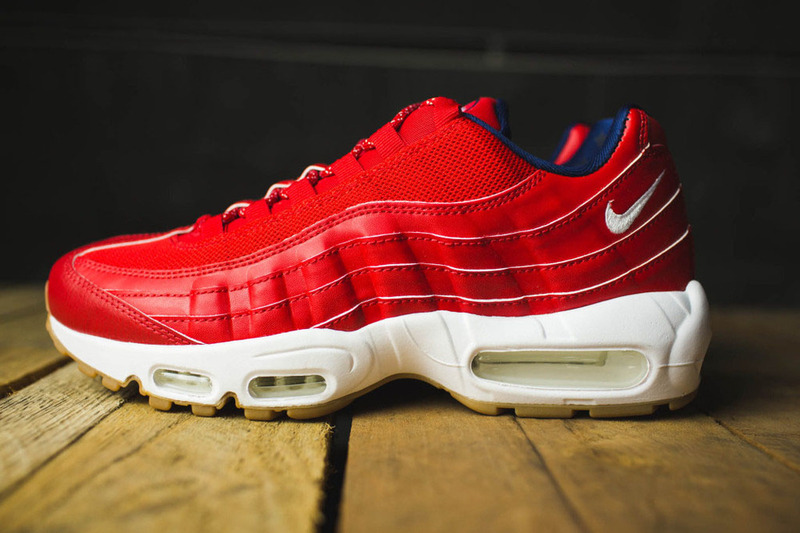 First up is the all red mesh/leather upper that calls attention to the feet. A navy inner lining is covered with printed white stars while the heel logo is covered in an awesome flat gold that is a subtle but nice touch. The tongue logo is draped in red/white/blue while red/white rope laces tie things up quite nicely. The shoe sits on a white on white midsole and air bubble combination (that matches the clean white Swoosh) while a gum outsole provides the traction and closes out a superb effort from Nike. There is no set release date but expect them to hit retail shelves in the beginning of July, right in time for the holiday. Price is set at $170. Keep it locked to Sneakershouts for any further release updates.